The spending on home appliances and consumer electronics is expected to increase year-on-year as more millennials and those from the younger generation move towards purchasing their first homes. They would choose based not only on the product specifications, but an appliance that offers them a better quality of life, more humanised and represents a better fit with their individual values. 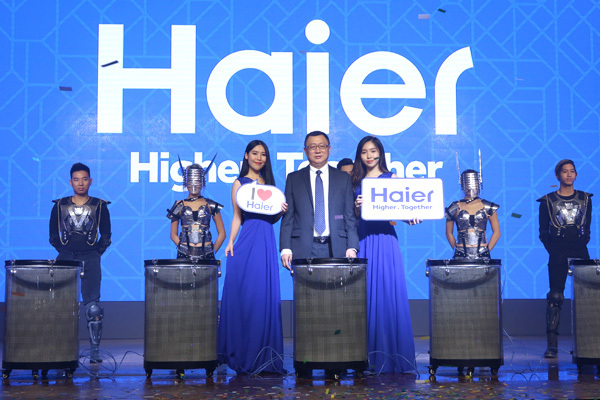 Haier, the global number one brand in major appliances, has further accelerated the launch of its innovative leading products in the Malaysian market this year to provide the best solutions that elevate its consumer’s lifestyle, especially of those from the younger generation. “We will launch more than 30 new products in Malaysia this year, including innovative products with world-leading technology such as the Haier 4-Door Series Inverter Refrigerator with Triple Cooling System and Dry & Humidity Zones, Haier Direct Drive (DD) Inverter Self-Cleaning washing machine, Smart Clean Inverter air conditioner, anti-dry Smart Kitchen appliances and many more,” said Haier Malaysia managing director, Shi Zhiyuan, at a media conference here today. The Haier 4-Door Series Inverter Refrigerator with Triple Cooling System and Dry & Humidity separate storage function uses the brand’s unique dry-wet storage preservation technology. It solves the four major preservation problems concerning dampness, drying, freezing, and odour mix. The first system is the refrigerator compartment consisting of both Dry & Humidity separate storages spaces – divided into humidity zone and dry zone. The humidity zone uses the evaporator air frost replenishment technology and HCS Vegetal Bio-Membrane technology to automatically sense the environment’s humidity level and at all times, maintain the optimal humidity of 95% and above for the food stored. This achieves the long-term preservation effect. Meanwhile, the dry zone uses micro air-duct technology to maintain the optimal humidity of 45% and below for the dry food stored. This is to prevent dampness and spoilage. The second system is the freezer compartment consisting of 15KG super freezing capacity and faster freezing time. These two functions are able to preserve the food’s nutrients without loss. The third system is the Haier switch zone that adopts variable temperature control technology. It allows for continuous adjustable temperature varying from 5°C to -20°C. Consumers can store different ingredients and adjust the temperature as needed to achieve the best preservation effect. For example, the best storage temperature for different food is as follows: Vegetables (5°C), Yogurt (4°C), Fruits (2°C), Fermented Meat (-3°C) and Raw Fish (0°C), while Soft Frozen temperature stands at -7°C, Slight Frozen is -12°C and Frozen dips to -20°C. These patented products – the Haier 4-Door Series Inverter Refrigerator with Triple Cooling System and Dry & Humidity Zones, Haier Direct Drive (DD) Inverter Self-Cleaning washing machine, Smart Clean Inverter air conditioner, anti-dry Smart Kitchen appliances and many more – are newly-launched worldwide by the Haier Group. Thanks to its leading technologies, Haier has wholly solved users’ long-standing problems and their worries on health, convenience and safety aspects. Hence, these innovative products were launched to great demand in every market where Haier is present. They were well received by the consumers, particularly those from the younger generation. “I believe that these Haier innovations will be favourable to the consumers because our products not only provide very good solutions for their lifestyle, but also perfectly match the younger generation’s pursuit of style, humanity and values,” said Shi Zhiyuan confidently. Globally, Haier has 10 R&D centres, 24 industrial parks and 108 factories with products marketed all over the world. 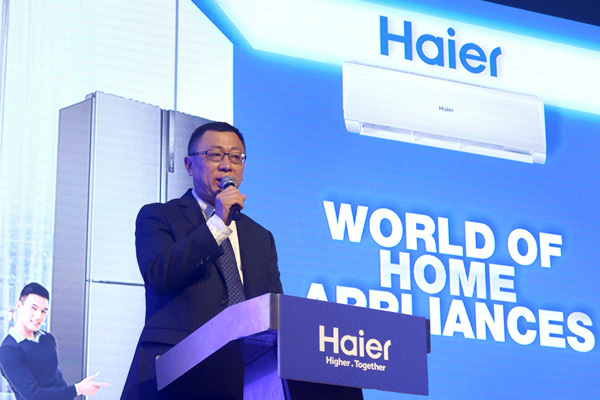 In 2017, Haier was ranked the number one global brand for major home appliances for the ninth consecutive year – achieving a global turnover of 241.9 billion yuan (approximately RM 149.7 billion). Currently, the brand has been in the Malaysian market for 16 years. It imports most of its products and distributes them through more than 300 retail outlets and major chain stores in Malaysia. The company offers a full range of home appliances including refrigerator, washing machine, freezer, domestic and commercial air conditioner, LED TV and small appliances, among others. 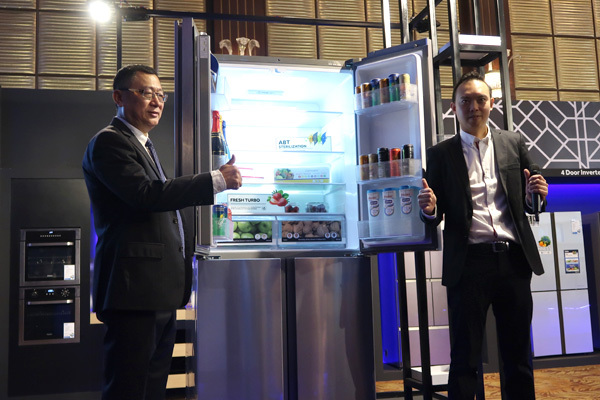 As part of the company’s market expansion, it unveiled the “Haier World of Home Appliances” today – a gateway into the world of Haier with new product line-ups to further expand Haier’s influence. The unveiling is a continuation for Haier Malaysia to showcase the latest technology and innovative products to consumers following the successful opening of “Haier Experience Centre” at SetiaWalk, Puchong earlier this year. 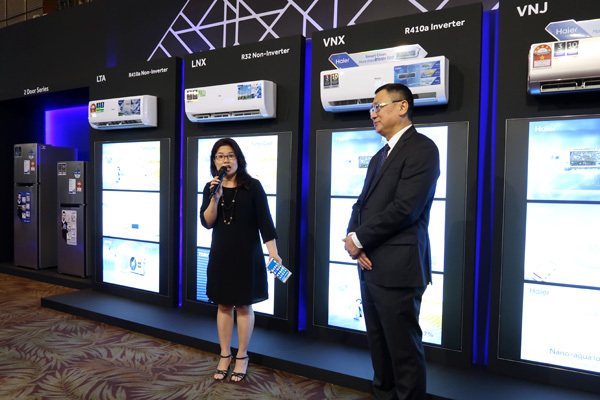 While Haier continues to launch innovative products, Shi Zhiyuan enthused that the company will further strengthen its cooperation with its distributors, especially their loyal dealers. 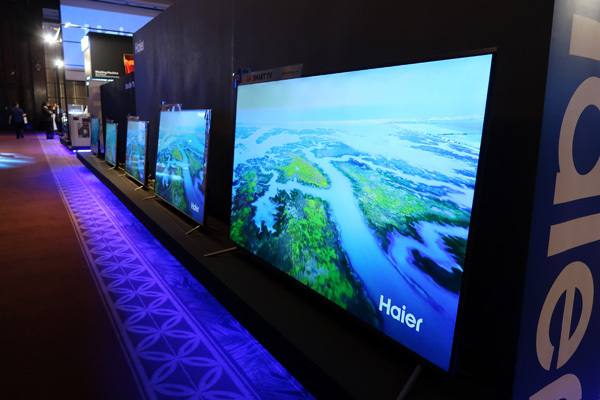 Haier plans to build more Haier brand shop and shop-in-shop, offering the best service to consumers. From 5th March 2018 onwards, Haier Careline had started to operate 24 hours a day (7 days a week, 365 days a year) to better serve its consumers. This is a positive indication that Haier’s frontline service in Malaysia has entered a new height. Haier Malaysia will also offer attractive promotions during the upcoming 2018 FIFA World Cup and Hari Raya celebrations from 15th May till 31st July 2018. For more information, kindly visit Haier Malaysia’s website at www.haier.com/my or Facebook page at www.facebook.com/HaierMalaysia.